Winter Springs Cosmetic Dentistry | Quality Care Dental, P.A. 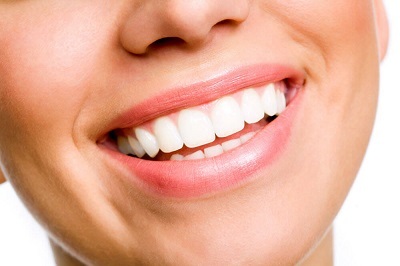 A beautiful, healthy smile supports high self-esteem and enhances your quality of life. Quality Care Dental offers cosmetic dentistry in Winter Springs and to surrounding areas. Our gentleness, thoroughness, and personable approach set us apart and ensure exceptional service. We are passionate about improving smile’s aesthetic and function, using modern techniques and a commitment to old-fashioned, excellent care. Dr. Mary Nguyen and her experienced team look forward to helping patients obtain optimal oral health. Visit us if you have dental problems that are affecting your smile’s appeal and you are looking for a dentist who considers your aesthetic needs when building treatment plans. Teeth Whitening: Tooth enamel is easily stained by what we eat and drink, which is why restoring its white color requires a professional touch. Our teeth whitening allows you to effectively lift stains and keep teeth a brilliant color for long periods of time. Fillings: We use tooth-colored composite to restore teeth. Whether decay has created cavities, or trauma has affected the tooth’s appearance, the composite fills these areas without changing visual appeal. Veneers: Wear, minor chips, cracks, and internal stains affect the uniformity of the teeth. Porcelain veneers cover these aesthetic problems while protecting the healthy structure underneath. Crowns: Extensive decay or damage need to be addressed with a comprehensive solution. We offer quality crowns made from premium materials. These are designed to rebuild a tooth’s structure, providing comfortable use for many years. If you are looking for exceptional dentistry with a cosmetic approach, contact Quality Care Dental. Dr. Mary Nguyen and her team provide excellent care that makes for beautiful smiles and positive dental visits.